BROOKLYN (Sept. 20, 2017) – Undefeated WBC Heavyweight World Champion Deontay “The Bronze Bomber” Wilder will make his sixth title defense when he meets hard-hitting Cuban southpaw Luis “The Real King Kong” Ortiz on SHOWTIME CHAMPIONSHIP BOXING, in an event presented by Premier Boxing Champions on Saturday, Nov. 4 live on SHOWTIME (9 p.m. ET/6 p.m. PT) from Barclays Center, the home of BROOKLYN BOXING™. An exciting lineup of undercard attractions will be announced soon to support this titanic heavyweight matchup. True heavyweights in every sense of the word, the 6-foot-7, 228-pound Wilder and the 6-foot-4, 240-pound Ortiz have 60 combined knockout victories. The 31-year-old Wilder (38-0, 37 KOs), the only reigning American heavyweight world champion, won his WBC title with a dominant 12-round unanimous decision over Bermane Stiverne on Jan. 17, 2015 -the birthday of legendary heavyweight champion Muhammad Ali. Wilder, a Bronze Medal winner for the U.S. Olympic boxing team at the 2008 Beijing Games, has successfully defended the title five times. In his previous defense at Barclays Center, Wilder scored a memorable ninth-round knockout over Artur Szpilka back in Jan. 2016. In his most recent defense, Wilder, of Tuscaloosa, Ala. stopped Gerald Washington via fifth-round technical knockout before a hometown crowd at Legacy Arena in Birmingham on Feb. 25. 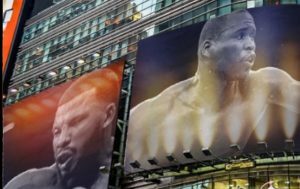 The 38-year-old Ortiz (27-0, 23 KOs), of Camaguey, Cuba by way of Miami, Fla., will make his SHOWTIME and Barclays Center debut when he meets Wilder for his first title shot. 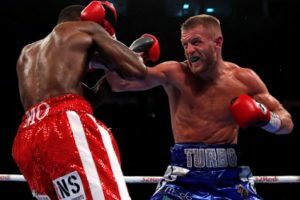 The hard-hitting southpaw turned pro seven years ago after defecting from Cuba and has since been steadily climbing the heavyweight ladder. He cemented his standing in the division with victories over veteran contenders Bryant Jennings, Tony Thompson and Malik Scott and is the No. 1-ranked contender by the WBC.